La mode se démode, le style jamais | One quality, the finest. Gabrielle “Coco” Chanel was born on August 19, 1883. Few designers achieved the name recognition and design impact of the petite couturiere. She was born to illiterate parents – a market stall holder and a washer woman – in the town of Saumur in France’s Loire Valley. Once she became famous, she concocted elaborate fictions to cover the humble truth about her origins. After the death of her mother when she was 12, Gabrielle lived in a convent where she learned to sew. At age 18, she became a cabaret singer and picked up the nickname “Coco.” She became the mistress of wealthy textile heir, Étienne Balsan, and began to explore an interest in hat making. Later, she became the mistress of one of Balsan’s friends, “Boy” Capel. He had a huge influence on her development as a couturiere, both by funding her first stores and through his own clothes, which inspired the men’s-wear look identified with Chanel. His death is reported to have led to the invention of the LBD or “little black dress” because Chanel wanted to wear black to mark her mourning. Her boutiques were on rue Cambon in Paris (just around the corner from the salon de thé Angelina where she was a regular), and the resort towns of Deauville and Biarritz. 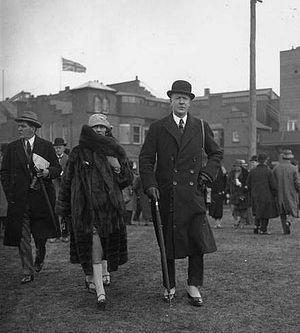 She began to make aristocratic connections (including being the lover of the Duke of Westminster) and her influence grew. All is not lovely with Chanel. She was violently anti-Semitic, including against the Wertheimer family who owned the rights to produce her perfumes. During World War II, she became the lover of a Nazi officer and tried to use his influence and the anti-Jewish laws to wrest control of the highly profitable perfume business from the Wertheimers. 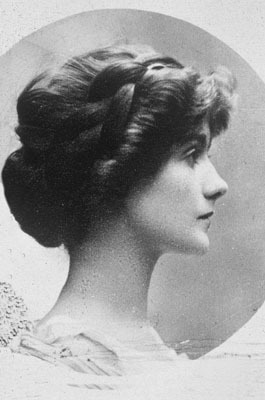 By the end of the war, Chanel was one of the wealthiest women in the world. Only direct intervention from the British Royal Family saved her from being tried as a collaborator after the war. She re-opened her fashion house in 1954, funded by none other than the Wertheimers and continued to produce collections right up to her death in 1971. She was less popular with the French, who had not forgotten her war-time profiteering, than she was with the British and Americans. Tasted had also shifted to Dior’s “New Look.” Her life has been the source of numerous books, plays, and films and fact and fiction have become intermingled. What is her lasting legacy? Today’s expression, la mode se démode, le style jamais (lah muhd suh daymud, luh steel shjahmeh) is a Chanel quotation that means “fashion goes out of fashion, style never does” but is often pared-down to the snappier, “fashion passes, style remains.” Since Chanel was a fan of pared-down over ornamented, I think she’d accept the less literal version of her quotation for simplicity’s sake. This entry was posted in Fashion, People and tagged anti-Semitic, “Boy” Capel., Chanel, Coco Chanel, collaborator, Dior, Etienne Balsan, fashion passes style remains, Gabrielle “Coco” Chanel, la mode se démode le style jamais, LBD, little black dress, Wertheimer. Bookmark the permalink. Vous avez raison! Désolé! Je ai change le blog il y un instant. Merci de m’avoir corrigé. Pingback: Une bonne cuisinière est une sorcière qui dispense le bonheur | One quality, the finest. Pingback: Drôle de frimousse | One quality, the finest. Pingback: Le Titan à l’oeuvre | One quality, the finest. Pingback: Le culte du corps | One quality, the finest. Pingback: Abréger une histoire | One quality, the finest. Pingback: En vogue | One quality, the finest. Pingback: Son chiffre porte-bonheur | One quality, the finest.